Accidents and emergencies can happen when you least expect them, so why not be prepared? We offer 24/7 emergency and storm cleanup assistance for those that have been caught in a storm and are affected by the damages left behind. This can include trees that have fallen during the storm and are a threat to your home or roof, or lawn rubbish that has built up and made it unsafe for you to access the space around your home with ease. As the city’s most reliable tree service company, we provide our emergency and storm cleanup services 24-hours a day, 7 days a week. During severe storms, clients have continually entrusted us with their cleanup and enjoy the dependability we bring with our services. Our open availability is for all clients, new and existing, in the Greensboro area. If you are outside the Greensboro area and have been affected by storm damage or need immediate storm cleanup and assistance, you can still get in contact with us to see how we can help. If we are unable to, we may be able to refer you to a nearer, trusted tree service company in your area. While you may not be aware of it, you can actually take steps to prepare and protect your home from potential storm damage. We also oversee services that help our clients prepare their lawns for incoming storms, especially during hurricane seasons where thunderstorms and flooding are imminent. To do this, we assess the current state of your lawn and take measures by removing loose décor, taking note of problematic trees, trimming trees and plants where needed, and ensuring that your roof and windows are clear. We also like to check the accessibility of your storm drains, as clogged or covered storm drains can lead to excessive flooding, especially during a hurricane. If you contact us for an emergency cleanup service, you can trust that you’ll receive a quick response and even quicker assistance. We maintain a team of on-call tree care professionals that are able to answer your emergency calls as they come in and react quickly. In times of emergency, you don’t have all day to wait for immediate help, which is why we ensure that wait and response times are minimized as much as possible. When a storm occurs, the damage and cleanup can be the most tiring and frustrating of the storm’s aftermath. Storms can easily damage your windows, doors, roofs, basements, and much more. 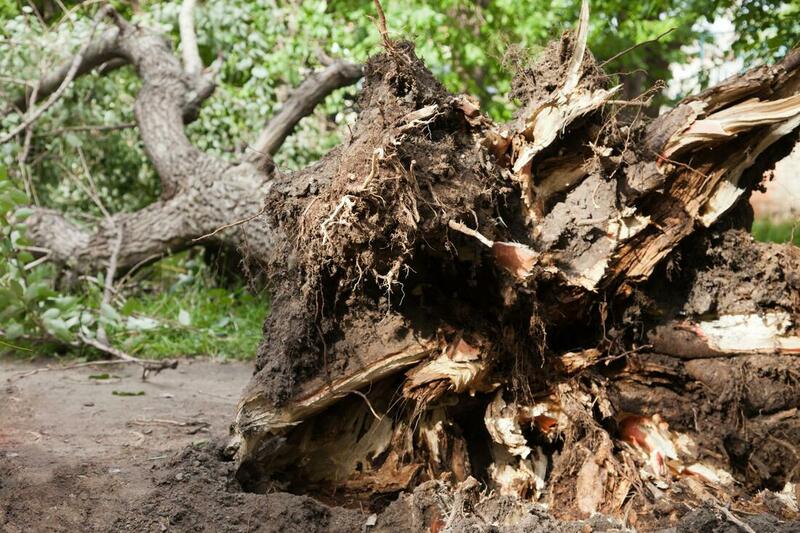 To ease the frustration, we provide our storm cleanup services to quickly remove and dispose of trees and rubbish where there is potential for further damage. We encourage you to contact us as soon as you notice that a tree has become problematic to the integrity of your home as waiting until the tree falls can result in more unforeseen home damages and expenses. Other damage and cleanup cases may include lawn debris that makes it unsafe to walk around your property, open doors, or exit the driveway. We help take care of all of these kinds of damage and cleanup issues.